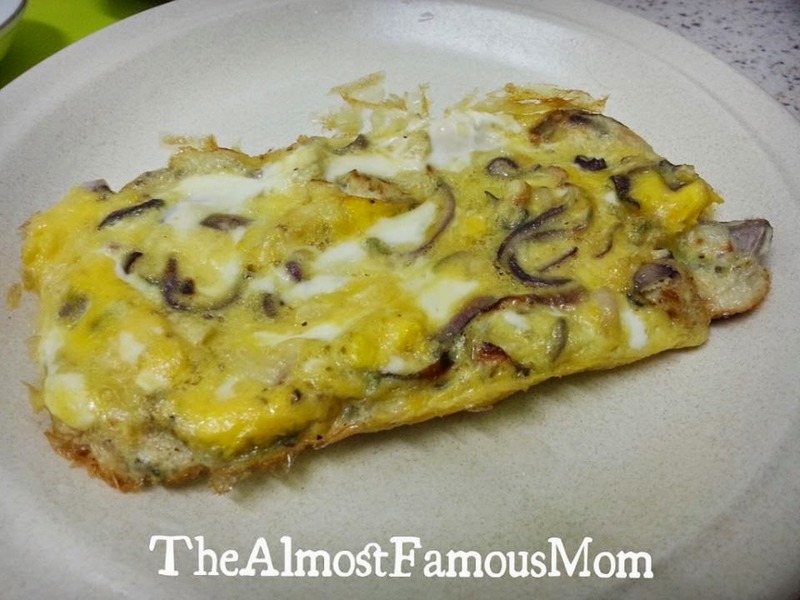 You can cook this for breakfast, lunch or dinner, this cheesy omelette with caramelized onions is a quick, easy and protein-packed....perfect for kids and adults! 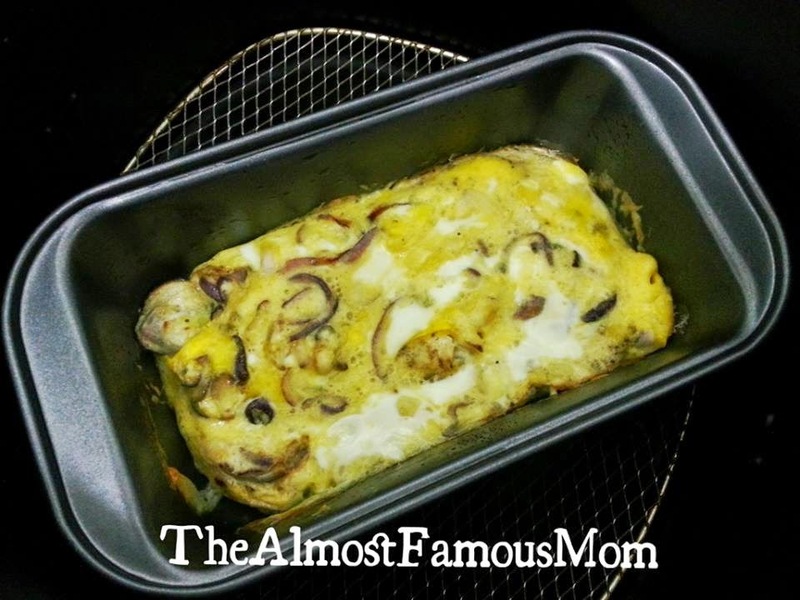 I did not use any extraordinary ingredients to cook this yummy-licious omelette, just using the "regular" ingredients in my kitchen. 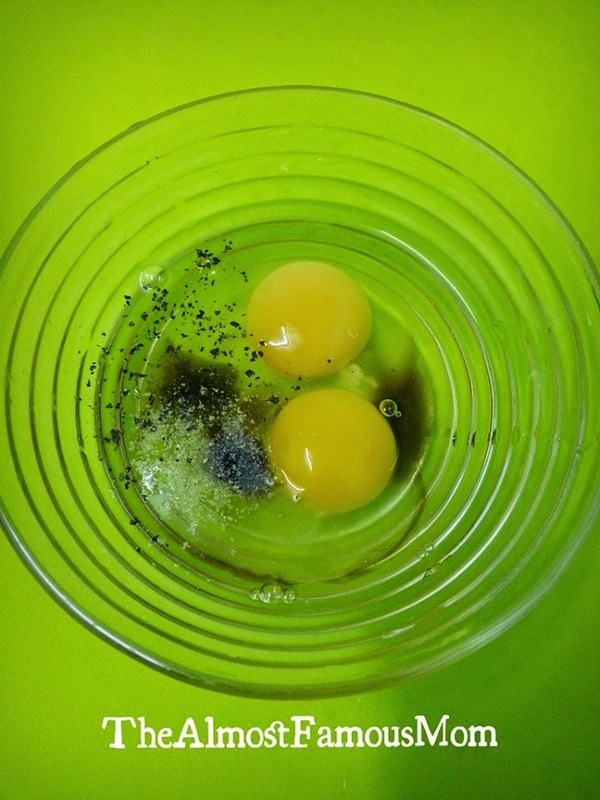 In a bowl, crack open the eggs and season with soy sauce and pepper. 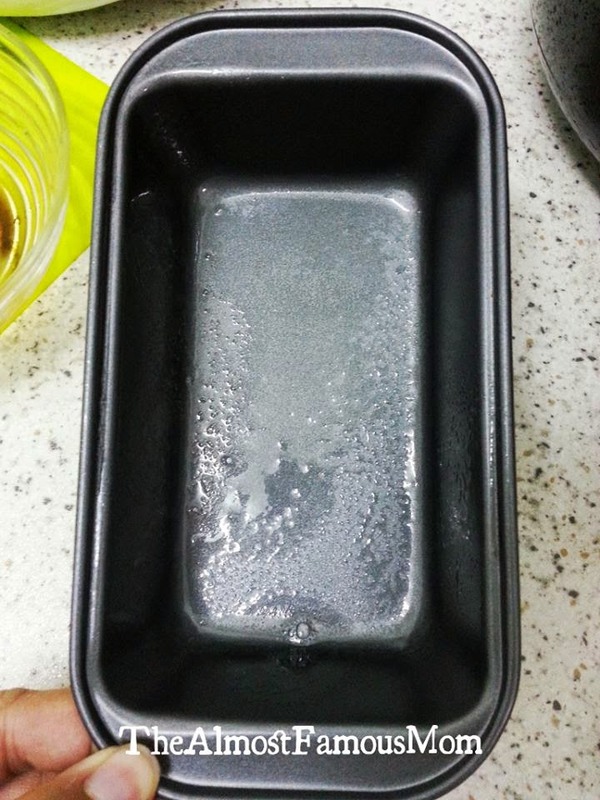 Lightly spray the pan (one that fit into the airfryer) with cooking spray. 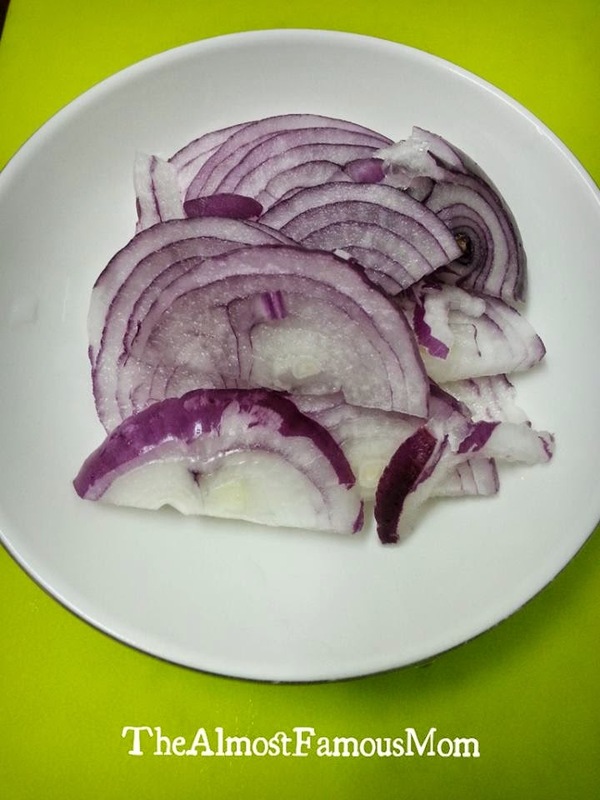 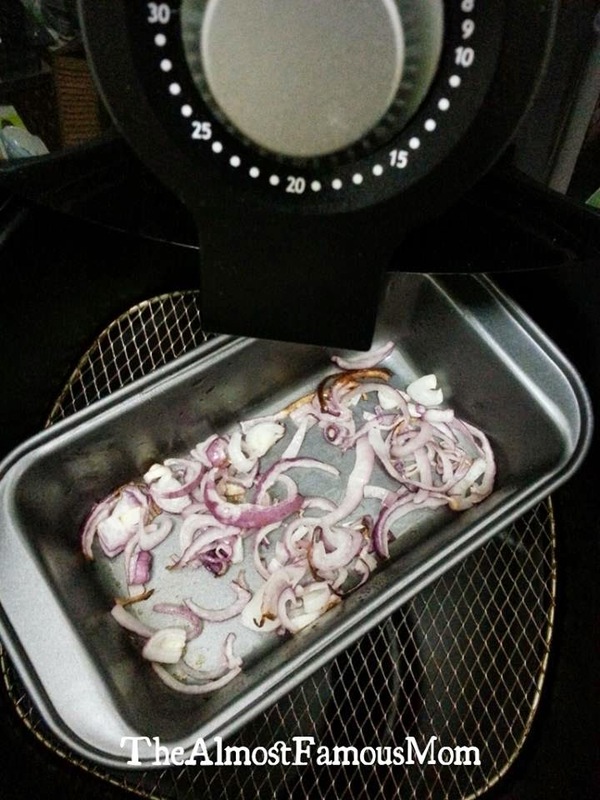 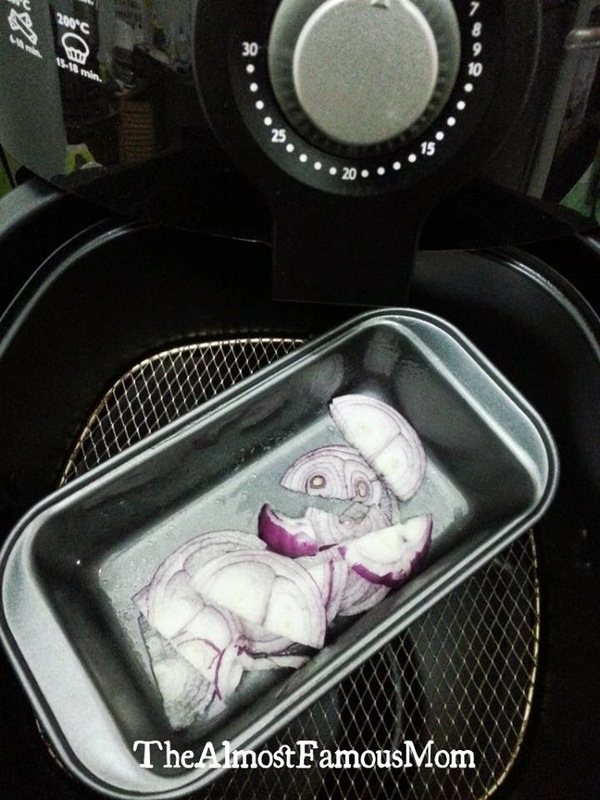 Place the sliced onions on the oiled pan and AirFry at 180°C for 8-10 minutes or until it softened. 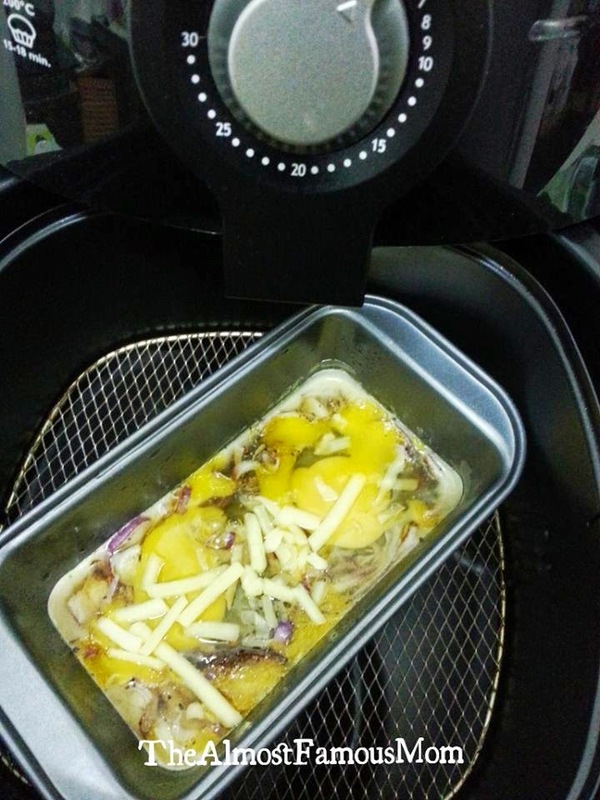 Pour the egg mixture into the pan and sprinkle with grated Cheddar cheese, then continue to AirFry for another 3-5 minutes or until the eggs are fully cooked.